Balcony, porch, patio or deck, these spaces in your Florida Keys home can become an oasis of cool relaxation. An easy way to do this is through container gardening; potted plants give you design flexibility and an architectural focal point for these exterior spaces. With the right plants and design ideas, you can up your home’s curb appeal and extend your outdoor living space in tropical style. If you have a smaller outdoor space you want to make more inviting, think vertically. Wall gardens are growing in popularity as much as they’re growing up. Appeal to the design eye with various sizes and shapes of containers as well. Potted plants make an artful statement all their own; a brightly painted planter, or one covered in a mosaic of tiles will help foliage plants like dracaenas and agave stand out and mix well with bright tropical blooms. Enhance your container garden around your porch or balcony with a spa-like feel by adding a water feature. Fountains come in a wide range of shapes and sizes, adding another visual focal point for the area. The sound of water itself is relaxing and can help lessen outside noises beyond your property. Solar and LED lights are another must-have for creating a welcoming and comfortable atmosphere. If privacy is a concern, fast-growing ornamental plants in containers or along boarders between a patio and path or lawn, are a great alternative to a fence or wall. 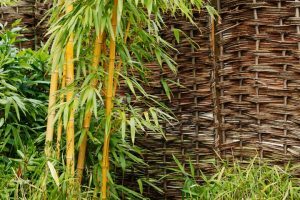 Clumping bamboo makes for a vibrant, and controlled natural screen, while ornamental grasses such as fountain grass, partition an area yet still allow plenty of sunlight to come through. We also need to make sure our balcony or patio potted plants get the right kind of care, so they can thrive through the summer season. Choose plants according to how much sun your porch or deck gets each day. If facing the south or west, go for sun-loving plants who can take the longer exposure to heat. Water regularly and deeply and reduce water evaporation from pots made of porous materials such as terra cotta. An easy way to do this is to keep a wet towel wrapped around the pot. Installing an awning can make a world of difference when it comes to shade. There’s a variety of styles and features when it comes to awnings, including remote-controlled retractable ones so you can still star gaze with ease at night. Living in our tropical climate, properties with covered patios or pergolas over decks are a great selling point when listing your home. With a pergola in particular, you can add more greenery to your exterior oasis with climbing vines such as honeysuckle, bougainvillea or jasmine. 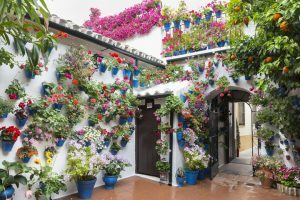 You can find more tips on how to care for a container garden with this article by Balcony Garden Web. Create an oasis and enhance your home’s curb appeal with a container garden. 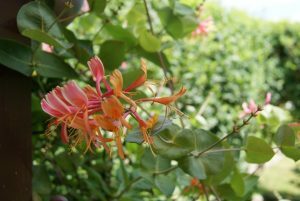 Learn more about what plants work well with the Southern Florida Plant Guide. When you’re ready to experience life in the Florida Keys year-round, or are ready to sell or buy a home in the Key West area, please contact me, Jimmy Lane, for all of your real estate needs.